Buena Park, CA; Camp Spooky operates every weekend in October and is included in park admission. Best For: Children under 10 will love Camp Spooky. Older kids will love the rest of the park. Looking for a non-Zombie, lack of gore, no scare Halloween celebration for your little one? 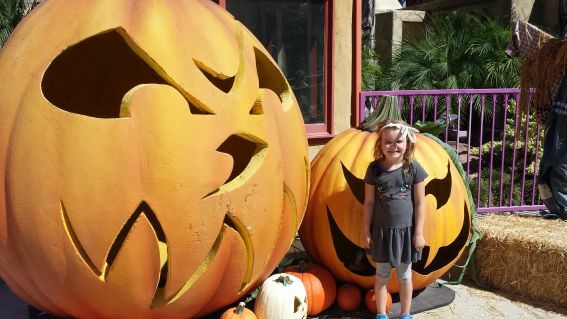 Knott’s Berry Farm meets your needs with their Knott’s Spooky Farm activities. Each weekend in October, Camp Snoopy transforms into a Halloween wonderland with a plethora of kid-friendly and parent-approved things to do to entertain your little ones. Kids will excite at seeing their favorite Snoopy characters dressed up in costumes roaming around the park. Activities include a Snoopy Costume Party (with contest, parade, and dance party), Monster Masquarade Ball (with fun karaoke and mask making), and a Spooky Hallow Maze that ends with pumpkin decorating (for a nominal fee). Trick-or-treating in Ghost Town is fun for all with interactive games, prizes, and treats delivered to kids by friendly ghosts. The creepy, crawly, critter cave invites kids to enter and visit the park’s naturalist who cares for all things that slither. Don’t miss “The Monsters are Coming, Charlie Brown” taking place on stage daily in Camp Snoopy. Kids will love hearing their favorite Peanuts characters dance and sing while parents will enjoy the throwback Halloween songs they remember from their childhood. Once outside Camp Spooky, there are some rather scary elements on other rides (as Knott’s is notorious for their 40 years of Haunt), so just be aware and ask before each ride what your child might see. But for Camp Spooky, it’s good, clean fun for babies to about 9. After 8, many kids are too big for some of the rides in this area and may continually try to drag you to the larger, scarier rides. Children are encouraged to wear their costumes, but please no costumes for the adults. On select nights this October Mickey’s Halloween Party is taking over Disneyland with special thrills, parades, and shows that the average park attendee never experiences. During these special nights, the park closes early to regular guests (either 6 or 7PM), allowing lucky wristband holders to enjoy Halloween Disney-style. Highlights include a special Halloween-themed fireworks show, access to the brand-new Paint the Night parade with less of a crowd, countless characters to meet and greet (including the villains! ), dance parties, and several treat stations dishing out enough candy (and healthy alternatives) to keep your kids deliriously happy. Most people come dressed in costume to this event, creating an atmosphere that is even more fun than a typical day at Disneyland. Bonus- since Disney only sells a limited number of tickets to each party and there are so many fun distractions to enjoy, the lines for rides are actually much shorter than normal. Due to event’s starting time, I recommend it for kids who have ability to stay up late. 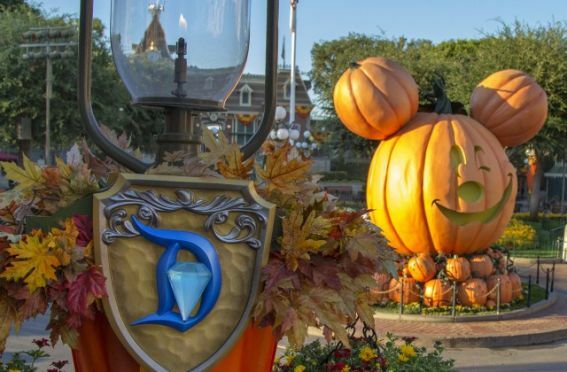 Read more about Halloween Time at Disneyland, taking place daily at Disneyland park. If you happen upon Disneyland during Halloween Time and don’t have those coveted Mickey’s Halloween Party tickets, there is still plenty to get excited about. Disneyland is decked out in Halloween theme and two of the park’s rides, Haunted Mansion and Space Mountain, get Halloween makeovers. Haunted Mansion Holiday brings to life Tim Burton’s Nightmare Before Christmas, making the holiday version of this ride even more popular than the original. Spooky Space Mountain Ghost Galaxy gets significantly scarier when this roller coaster is haunted by a skeleton monster during Halloween Time. Small children should definitely avoid this coaster. Looking for an exclusive event? Consider booking a Happiest Haunts Tour through the park with an expert guide. Do you live in Florida or have plans to visit Disney World this October? 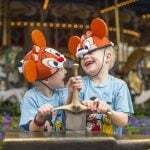 Check out Mickey’s Not So Scary Halloween Party at the Magic Kingdom. Reported from LEGOLAND California: Give your little LEGO lover the mother of all Halloween’s at LEGOLAND California and Florida. On weekends in October, kids can collect healthy snacks in souvenir goodie bags on the Brick-or-Treat Trail along LEGOLAND’S Enchanted Walk. Halloween themed candy shacks offer sugary treats and fun surprises. 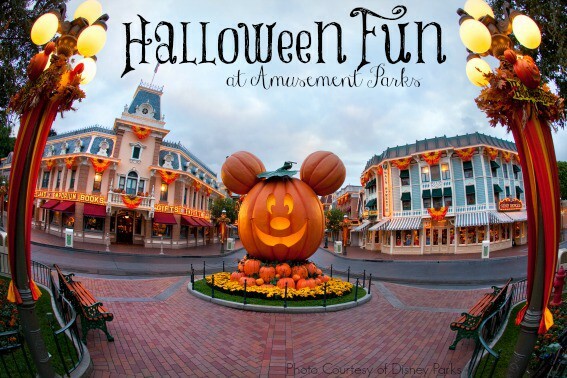 Every inch of the park is decorated with Halloween décor and face painting is available throughout. My four year old son, who’s lately been obsessed with Captain Jack Sparrow, met some young girls in pirate costumes the first weekend of October (whom he actually believed to be pirates). He shadowed them for several minutes and cried like a crazed groupie when I eventually tore him away. To err is human but to arr is pirate!! When the Saturday sun sets, LEGOLAND cranks it up a notch with Brick-or-Treat Party Nights! This family-friendly party promises a fun evening of extravagant costumes, Brick-or-Treating, fireworks, interactive entertainment with the Boo Crew, costume contests, and dance offs! Sea Life Carlsbad Aquarium gets in on the action with exhibits featuring monstrous marine life such as the ginormous Japanese Spider Crab. To sweeten the deal (no pun intended) the aquarium features a bonus Brick-or-Treat Trail station! 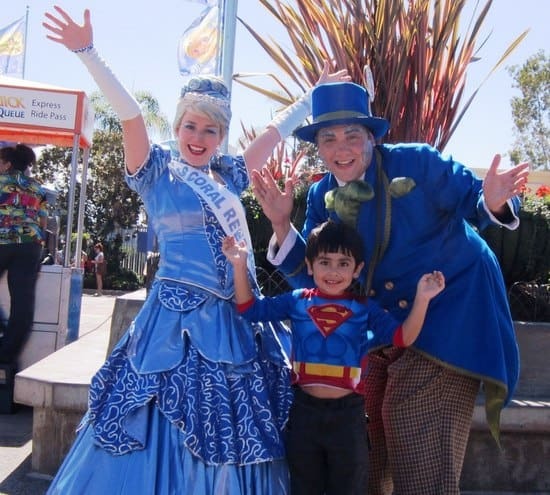 Each weekend in October, SeaWorld San Diego comes to life with the spirit of Halloween. Whimsical and electric SeaWorld characters roam the park’s entrance offering passing children hugs and adorable photo opportunities. Pose with a beautiful mermaid and dance like no one is watching at the Sesame themed Halloween show featuring Count Von Count. “They call me the Count because I love to count things; 1, 2, 3, pieces of candy!” Trick-or-treat stations are positioned across the park and kids are encouraged to wear costumes. Get wet at the interactive and amazing Pirates 4-D movie experience then break for lunch at Dine with Shamu. During the month of October, kids can dine with Shamu for free and score free admission with one paying adult. Parents, be sure to wear your sneakers when visiting the park. I climbed so many nets in Sesame Street play structure I thought I was in a tough mud race! 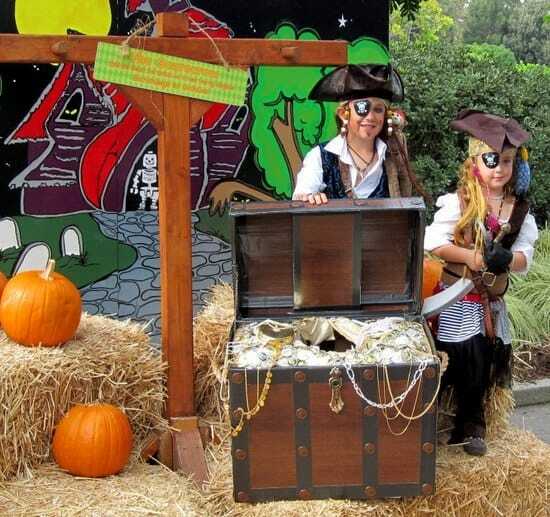 SeaWorld’s Halloween Spooktacular, included in Sea World park admission, takes place every weekend in October. There are two Underwater Fantasea Path entrances which are open from Noon to 8pm. Guests line up early but there are plenty of Spooktacular goodies for everyone. We saw tiny kids in costume enjoying the daytime trick-or-treat festivities and their parents relieved that they could celebrate Halloween, SeaWorld style, long before their wee one’s bedtime. Helpful hint – pick up a Spooktacular Treasure Map at either entrance. My daughter loved studying the map to find the next candy station! Costumed sea creatures, crafts, dancing, and loads of delicious candy await guests at Sea World’s Halloween Spooktacular. Surrounded by bubbles, my daughter and I were glad that we dressed as sea creatures as we strolled along the Underwater Fantasea path. 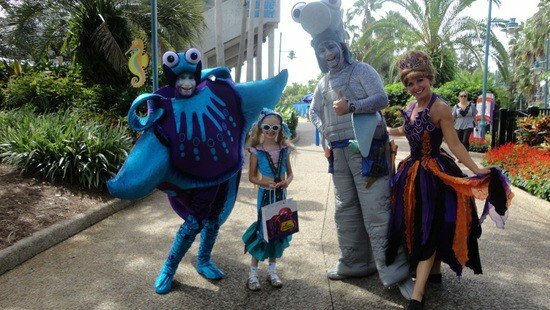 SeaWorld’s entertainment team created an amazing undersea world by blending a variety of colorful, costumed sea creatures with loads of bubbles, jellyfish shaped trick-or-treat stations, fish-ful Halloween games, and Princess Penelope celebrating Halloween in her undersea Party Zone. We picked up our free trick-or-treat bag at the Underwater Fantasea path entrance, took photos with colorful, costumed sea creatures, played a variety of carnival type games (additional fees apply), and went trick-or-treating at 15 separate candy stations along the path. My daughter loved the Penelope’s Party Zone where she danced with the DJ, listened to Queen Pumpkin tell stories, colored a Princess Penelope picture, crafted a foam witch, and made her own caramel apple dessert (additional fee for the dessert). If you decide to wear a costume, you can pose with Shamu dressed like a pirate in Penelope’s Photacular or with the Sea Witches and their cauldron. Your photo might even appear on screen before the Shamu Rocks! show later that evening. The Halloween Spooktacular theme is also celebrated at the Count von Count’s Countdown to Halloween show which is offered several times throughout the day. Helpful hint – be sure to arrive a little early at the Seaport Theater as the show is quite popular! For even more Halloween fun, plan to start your day at the Count von Count’s Spooktacular Breakfast. During breakfast, Count von Count, Elmo, and their monster friends mingle with the guests and give out plenty of hugs, giggles, and good times. This is a great way to fuel up for the day and capture some adorable photos of your kiddos with these friendly, familiar monsters. Reservations are encouraged and can be made at SeaWorldOrlando.com. Fright Fest provides thrills for the whole family! Throughout Six Flags Great Adventure you can enjoy festive Fall and Halloween decorations. 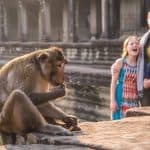 Activities are broken up into Thrill by day, best for families with younger children, and Fright by Night which is best for ages 12 and up and those who don’t scare easily. Be sure to pick up your Fright Fest brochure upon entering to find a listing of all the shows and entertainment. All rides are open per normal operating schedules. Events during the day are festive and not scary making them perfect for the whole family. Be sure to hit the Trick-or-Treat trail located in Fantasy Forest. Children will be provided with a treat bag and make three stops to pose for a picture with characters who have dressed up for the occasion and receive a treat. 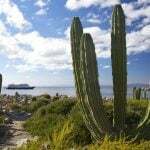 Best of all, there is no additional fee for this fun! For a laugh and a little bit of kooky knowledge, stop by Professor Slithers’ Creep Critters show. If your family enjoys hay rides, hop aboard the Haunted Wagon Spells. Your tour guide takes you into the woods where you will encounter some festive friends. Each friend will give you a riddle along the way. The hayride has an additional $5 fee. At 6pm Fright by Night begins. Zombies roam the park and they are almost everywhere. They will appear in line, on rides, and from behind places with one goal: to try and scare you. 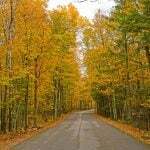 Also available at night are many haunted attractions known as Terror Trails. These are each priced separately from $5-$10 or for best value a Terror Trail Combo pass is available for $25. Want to bypass the lines? 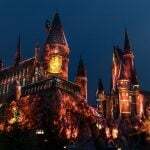 Then consider a Scare Pass which not only provides admission into each of the six haunted attractions, but also provides front of the line access. Beware, these Terror Trails are not for the faint of heart, or from what I learned in The Manor, the claustrophobic. Read our full review of Fright Fest. Six Flags throughout the country offer similar events. Dutch Wonderland decorates the park for Halloween and rides take on a festive theme but families won’t find anything scary here! Everyone is invited to wear their costume and enter the costume contests. Enjoy live entertainment such at Molly’s Wacky Witch’s Brew. Molly and her wizard-in-training take you on a scientific journey all while making you laugh. Don’t forget to stop in for Storytime with the Princess and check out the meet and greet where you can hobnob with the Royals. The kids will love to take part in the trick-or-treat trail! Complimentary goody bags are provided and kids will receive lots of snacks and candy along the way. For those guests with food allergies, you can participate too! Be sure to ask the attendant for an alternative treat. If those treats aren’t enough, stop by a snack stand for some festive eats such as pumpkin soft serve ice cream and pumpkin funnel cakes. 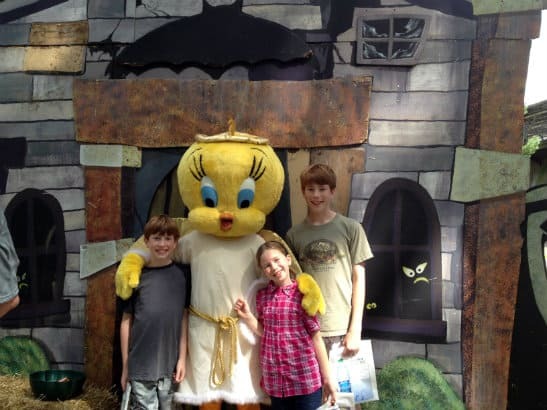 Trekaroo families love Dutch Wonderland! Read their reviews. 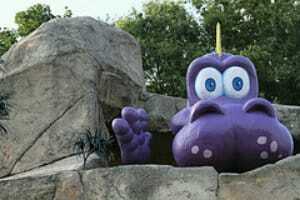 Disclosure: Trekaroo writers received complimentary admission to theme parks in order to review the Halloween events. We had a frighteningly good time but all opinions are our own! Thanks to Tina Buell, Beth Keklak, Janel Murray, Devon Weaver, Sharlene Earnshaw, and Lisa-Marie Leihy for your contributions to our Halloween round-up.